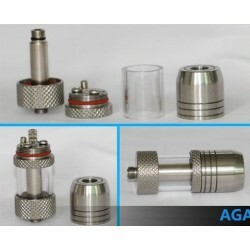 AGA-S Genesis 2ml Stailess Steel. 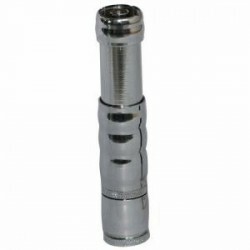 Now with knurling removed and press-on cap for easy adjustment of the airhole! 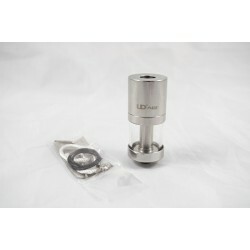 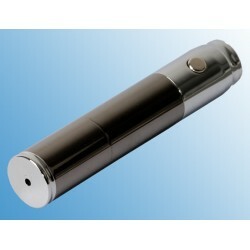 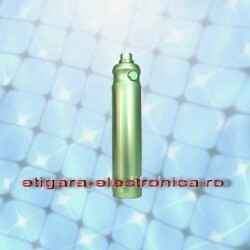 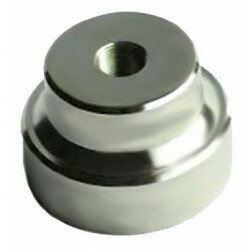 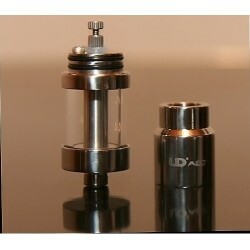 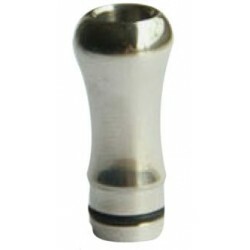 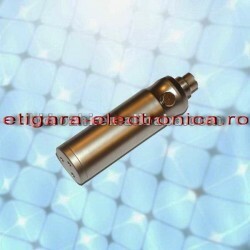 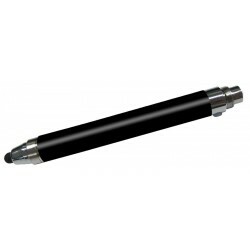 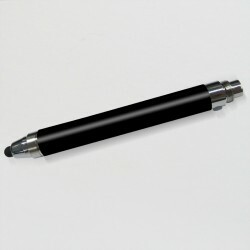 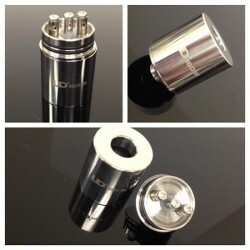 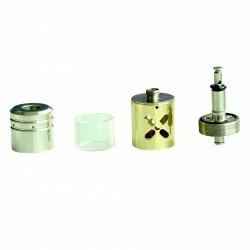 Made from stainless steel, with 2ml glass tank. 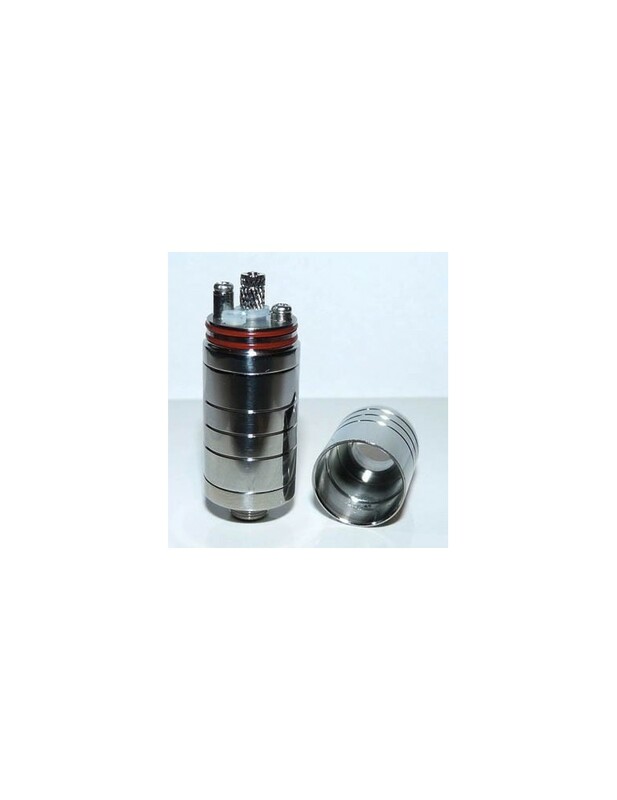 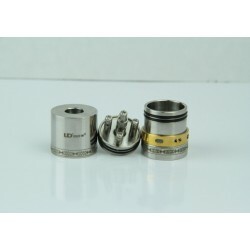 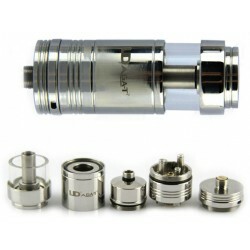 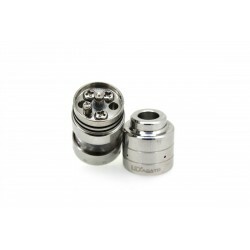 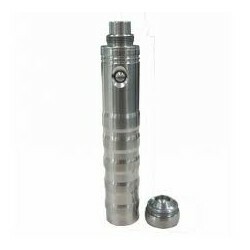 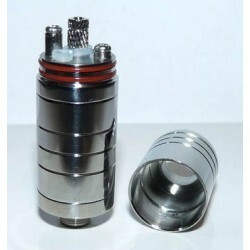 AGA-S Genesis Rebuildable Atomizer - this is the latest revision with the threads removed on the top cap so you can adjust the air hole to wherever you want it. 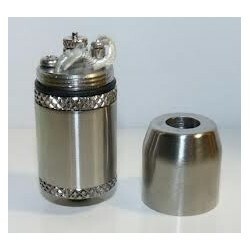 Double o rings hold the top cap in place. 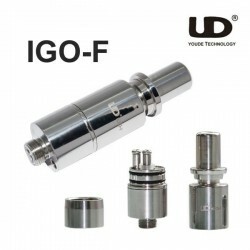 Nice improvement! 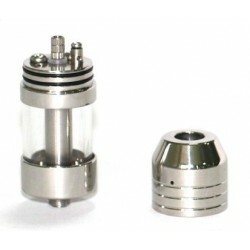 A beautiful Stainless Steel Genesis Style Rebuildable Atomizer, intended for use with the stainless steel mesh for wicks (sold separately). 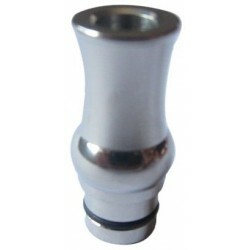 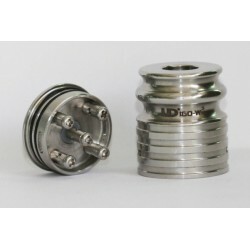 Drip tips are available here.